Picture yourself golfing on a beautiful summers day. The conditions are perfect, the drinks are cold, and everything is going right. You step up to the tee box on the 18th and settle into your stance. You’re just coming off a birdie on the last hole, and your confidence is riding high. Not Tiger Woods at Pebble Beach-high, but close. As you swing your driver back, a mosquito suddenly buzzes in your ear, ruining your concentration and sending your favourite ball careening into the woods. A perfect round no more! As most golfers know, mosquitoes are just another hazard to deal with when out on the golf course. They're as inevitable as a missed 3-foot putt, so knowing how to prepare for them before you step out on the links is almost as important as practicing your back swing. Easier said than done, we know! Golf balls and the rough go together like mosquitoes and... well, nothing goes together with mosquitoes, really. But you get the point! Deep shubbery and foliage give mosquitoes a dark, humid environment to hang out in, so if you're having a mosquito problem on the golf course, we'd bet that you'll find a few hanging out on the underside of foliage leaves in out of bounds areas or by water hazards, either eating the plant nectar for nutrition or waiting for a good moment to fly over and have a go at you instead. If possible, try to keep the ball on the fairway! Mosquitoes breed in standing water as well, so try to avoid spending too much time fishing for balls in the water hazard. You're basically a walking buffet for hungry mosquitoes when playing around these areas. Sorry Tiger, your dark Sunday red isn't going to cut it when it comes to mosquitoes! Sometimes, the clothes you wear can explain why you're getting more mosquito-attention than those around you. Time and again, research has shown that mosquitoes are attracted to dark colours, including blue, so try and stay away from them if you can. Think Rickie Fowler and his oh-so-fun orange pants! 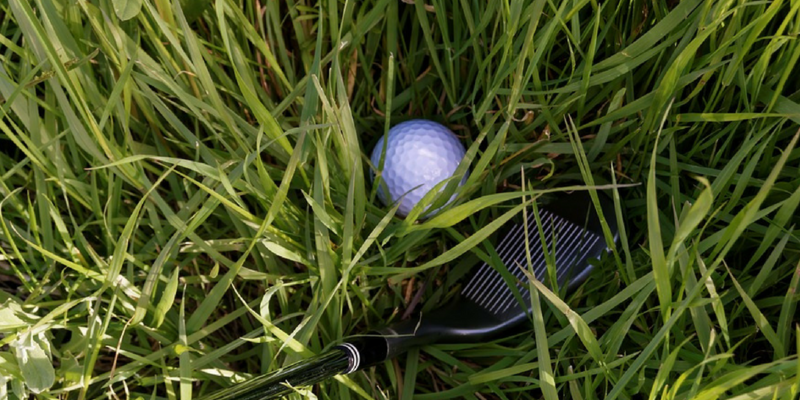 Mosquitoes tend to rest in shrubbery and decide on their target from a distance, and if you happen to be wearing a dark shirt or royal blue golf cap, mosquitoes are going to find you easier to see - especially if you're sending the ball into the woods off the tee! They also have no problem biting through tight fabric, so don't assume you're protected even if you're covered from head to toe in the latest in golf fashion. 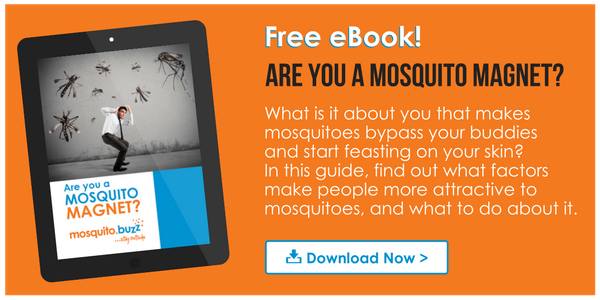 Humans release lots of goodies through our skin that mosquitoes love almost as much as us golfers love birdies. When we sweat, we emit lactic acids, which mosquitoes seek out and get drawn in by from the tall grass and wooded areas on the golf course. So if you're planning on sprinting from the bunker after holing out like Jordan Spieth at the 2017 Travelers Championship, think again! 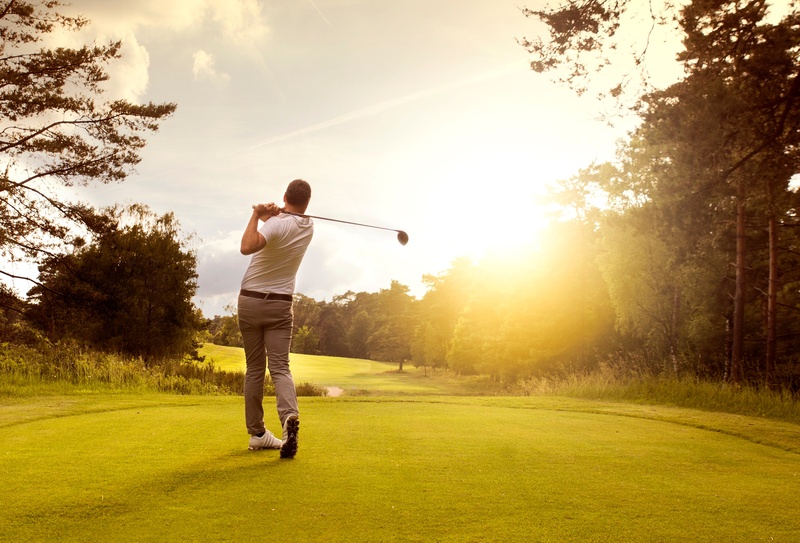 Using repellent is a tried and tested way to protect your skin from skeeter bites on the golf course. But don’t just buy anything; make sure you purchase a repellent that has DEET. Products containing DEET, such as liquids, lotions, and sprays, are designed to be applied directly to the skin. DEET makes it harder for mosquitoes and ticks to smell you, since our lactic acids and carbon dioxide are a good indicator that we’re around. 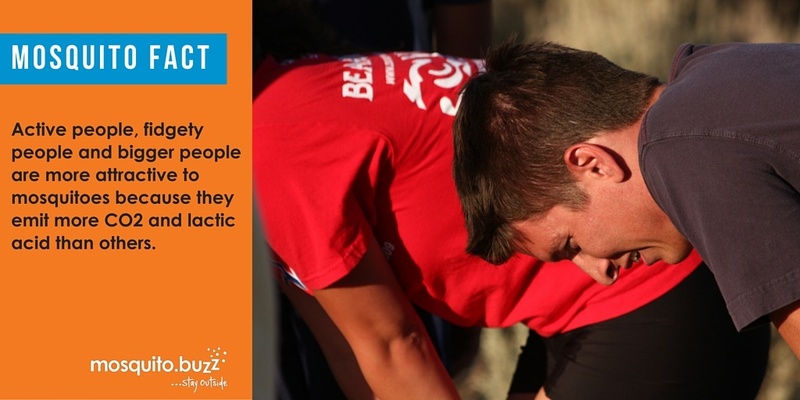 DEET confuses their senses, which is why it’s so effective. If you're chasing that perfect bogey-free round, make sure you've got some mosquito spray in your bag. Follow us on Facebook for daily mosquito bite prevention tips.